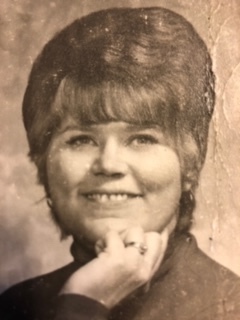 Virginia Meredith “Ginger” Junkins, 74, Bicknell, passed away Thursday, January 24, 2019 at the New Willow Manor. Virginia was born October 5, 1944, in Knox county, the daughter of Jon and Rachel W. (Harris) Chambers. She married Jack Junkins. She did various secretarial jobs and enjoyed reading, playing cards and drawing. She was also a member of the Bicknell United Methodist Church. Ginger is survived by her husband Jack Junkins of Bicknell; siblings, Tom (Pat) Chambers of Greenwood, Jon (Brenda) Flickinger of Jasper and Jack (Lynda) Parker of Evansville. She was preceded in death by her parents; and brother, John Chambers. Funeral services will be held on Tuesday, January 29, 2019 at 1:00 PM at Fredrick and Son McClure-Utt Funeral Home Bicknell Chapel. Visitation will be held from 10:30 AM until time of service also at the funeral home. Memorial contributions may be made to Riley’s Hospital for Children. Online condolences may be made at www.fredrickandson.com.